Puddle Jumper in Bismarck ND - Dutch Mill Florist, Inc. So cute and sweet! The perfect springtime treat! 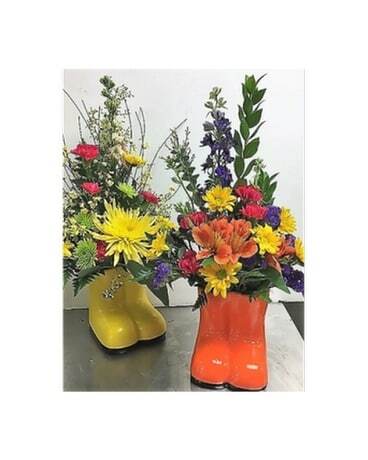 The rain boots come in assorted colors, and our designers fill with the prettiest blossoms that day to complement them . Please call us with any specific color requests, or let our designers do what they do best.... create an fun gift from you .